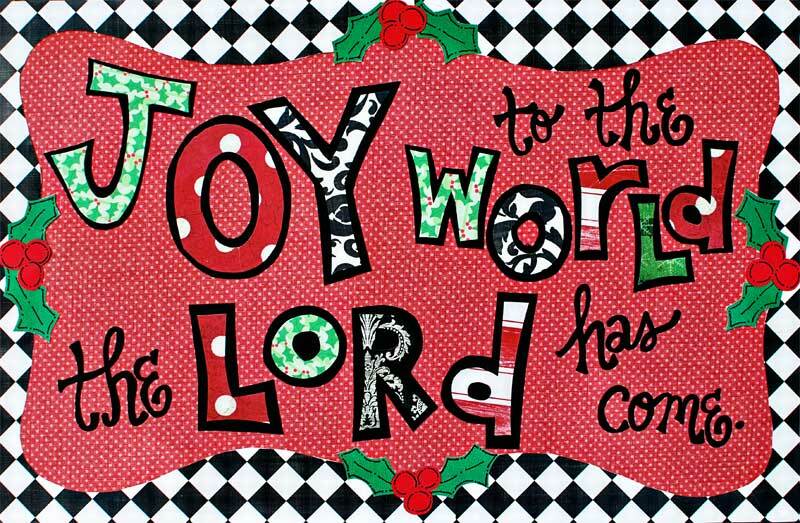 It’s that time of the year where all the Christmas decorations get set out, and that includes setting the table with a beautifully ornate Christmas placemat. Only one problem. 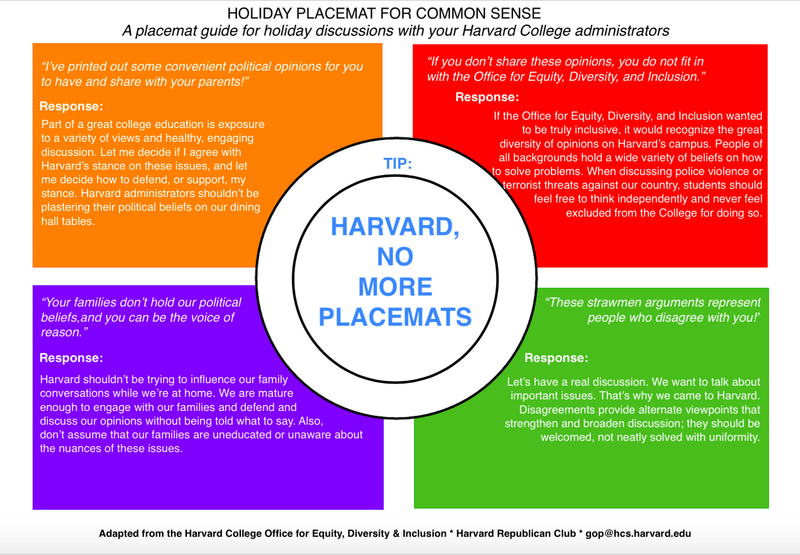 With all the social justice warriors out there in attendance at liberal universities like Harvard, they are putting talking points out in the open on a placemat for you to use at your holiday party. 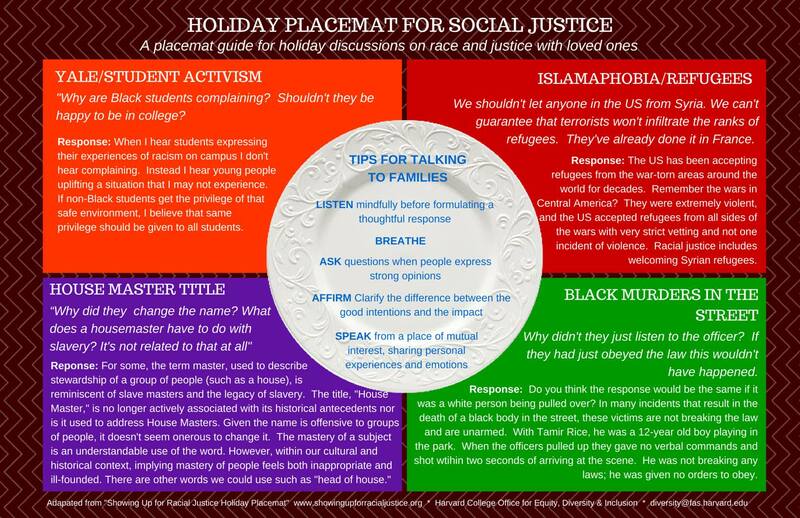 We all know that the opinions expressed on this social justice placemat does not represent the opinion of all in attendance at the university. The Harvard Republican Club came out with their own response. We write to acknowledge that the placemat distributed in some of your dining halls this week failed to account for the many viewpoints that exist on our campus on some of the most complex issues we confront as a community and society today. Our goal was to provide a framework for you to engage in conversations with peers and family members as you return home for the winter break, however, it was not effectively presented and it ultimately caused confusion in our community. Everywhere you turn in the world you can, and will, find someone who’s got something to say that will be offensive to another. It’s, unfortunately, part of life. You can’t go around silencing everyone who says something hurtful or offensive. Now, I’ll warn you right now that what you are about to read will be viewed as extremely offensive and some may even call me a racist. 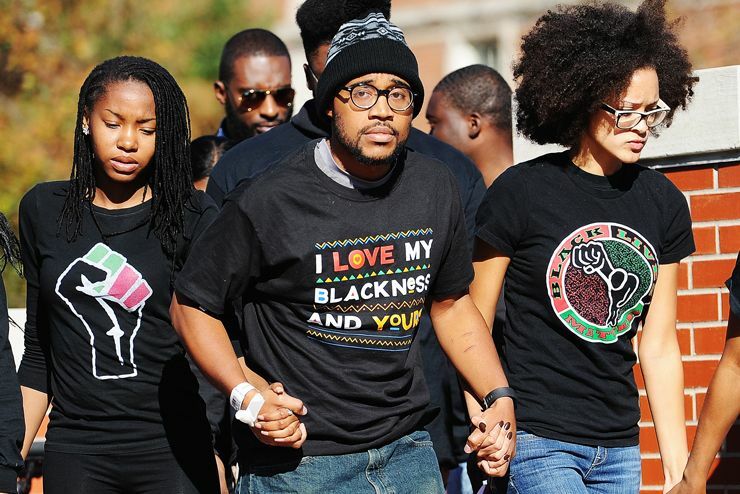 The events that have transpired at Mizzou are absolutely mind boggling. 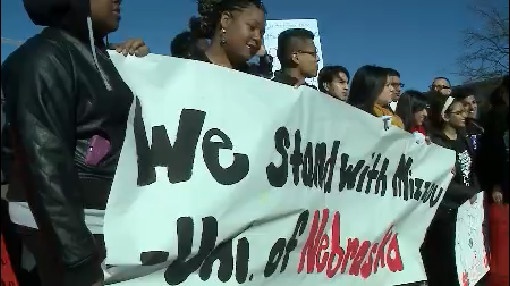 How, just how, can one person go on a hunger strike, gain the support of the majority of the football squad, get national attention, and demand the president of the university step down and publicly admit his ‘white privilege,’ all because he felt they weren’t doing enough to curb widespread racism on the campus? First thing first is that there were a very few amount of reported incidents and that the university was aggressively investigating each incident. Second, let’s not forget that one of the most prominent figures to come out of the football program was an openly gay black man, Michael Sam. And, the university celebrated his short-lived success. Third, let’s not dismiss the fact that the student body president, that was elected by the other students, is an openly gay black man. The point I’m trying to drive here is, based on those few facts, racism doesn’t appear to be an issue. Is there some racism? Sure. It’s something that will forever be around. There will always be someone out there who wants to act discriminatory against someone else. 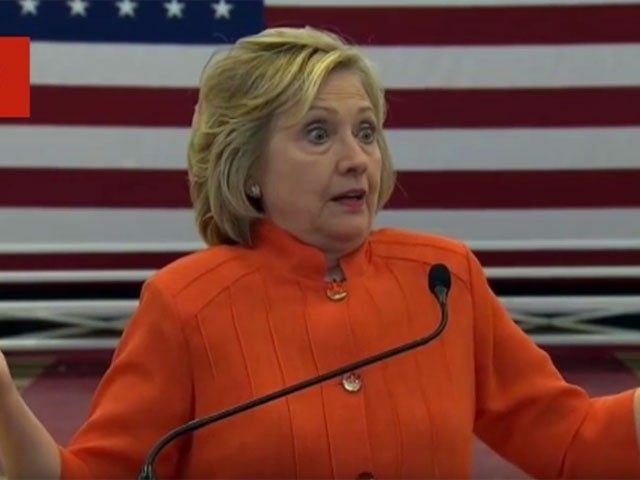 But… there’s a flip side to this entire issue unraveling! The tables are being turned. The voice of the majority is being silenced by the cries of racism. Instead of someone stepping in and telling a spoiled punk kid who’s parents earned an estimated $6-8 million last year that he just needs to be quiet and that his argument is invalid because the act or words in question weren’t directly involving him, people support him or turn to the side for fear of being labeled a racist. Here’s the truth: He’s as much a racist for being black forcing someone to ‘admit their white privilege’ as the ignorant drunk white person yelling disgusting racial comments to a black person. Yes, black people can be racist. So can whites, and Asians, and Mexicans, or any other race or gender or sexual preference. Just today at another college ‘safe space’ at Claremont McKenna College in California made that exact statement, and some even booed her for saying it. It really is saddening that these things are happening. Even more disturbing is that they are happening here in America. Don’t get me wrong, they shouldn’t be happening anywhere! But… take a quick look at the lady holding the sign. Was she adversely affected, or even involved in the actions that are being investigated on the Mizzou campus? Without a doubt, the answer would be… wait for it… NO. Yet, she stands there holding a sign that reads, “It is too late to say sorry”. For what? Were you there? Were the comments directed to you personally? Looking at these tweets should leave you scratching your head. Here we have a group of people actively expressing their voice and calling for less racism, but when they do they literally seperate themselves based on race. I’m going to go out on a limb here and say there are only two scenarios that will play out: 1) this is just the start and it will get much worse real quick, or 2) there’s a part of the story that hasn’t been figured out and that once it does get figured out, it will be exposed as a lie just like the ‘Hands Up, Don’t Shoot’ fabrication. I will admit, that yes, unfortunately there is still racism. But, as equally saddening is that whenever someone gets their feelings hurt we immediately pull the race card. Word to the wise: You don’t bring unity with division! 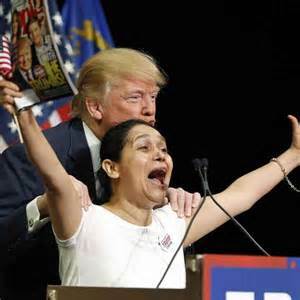 At a campaign rally in Las Vegas, NV, Donald Trump was talking about how he is on the cover of People magazine and how ‘they messed up [his] nose.’ Off to the side, he noticed a lady in the crowd had a copy of the exact magazine he was talking about and invited her up on stage. 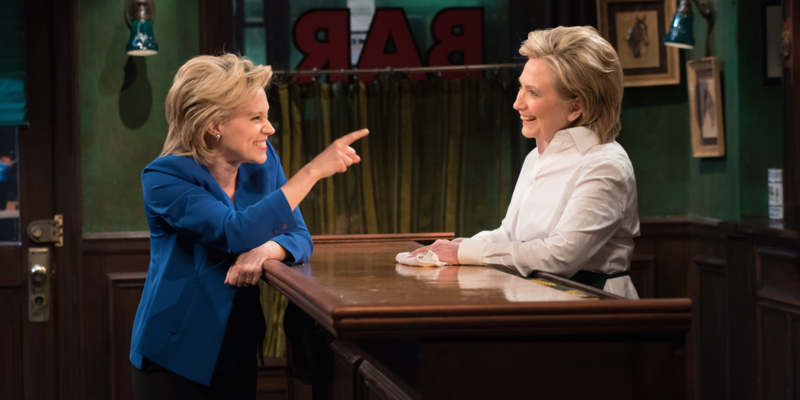 In an attempt to appeal likable and genuine, Hillary Clinton hit the ‘SNL’ scene. 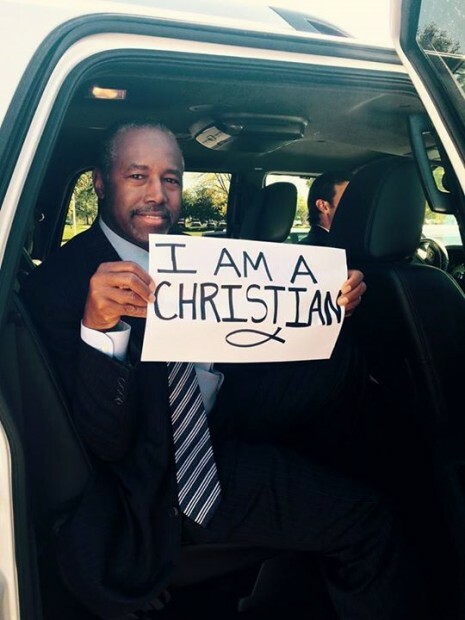 With just 4 simple words: “I am a Christian”, republican presidential candidate Dr. Ben Carson sent out a strong statement on Facebook. The statement was in reaction to the horrific mass murder shooting at an Oregon community college. 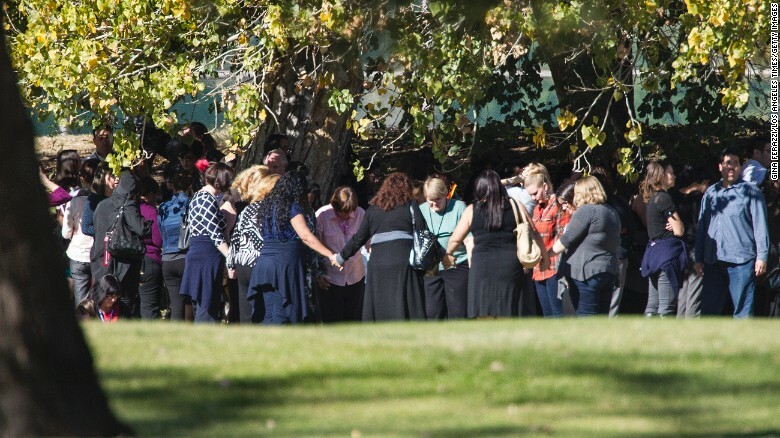 According to witnesses, the shooter had asked his victims if they were Christian. If they said yes, they were reportedly shot in the head. It should also be known that the guns the shooter used were obtained legally. 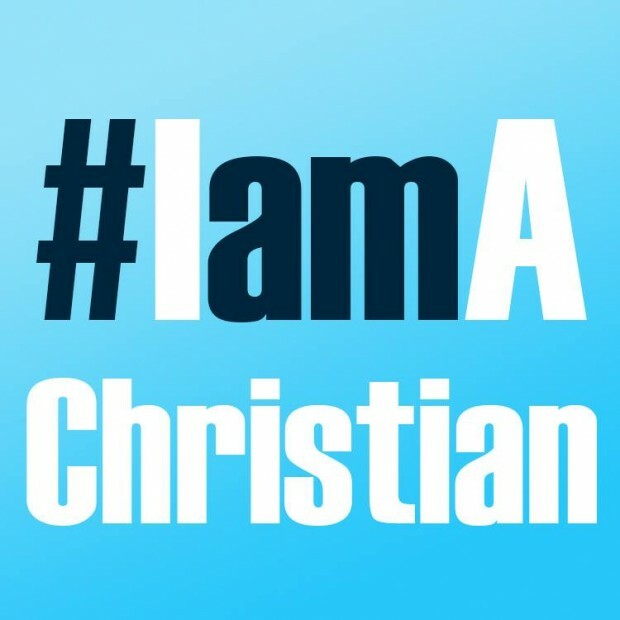 While President Obama gets out and starts calling for more and stricter gun control laws, and how we do need to politicize the issue, only one thing remains certain: This was an attack on Christians in America. Was the shooter inspired by seeking out fame? 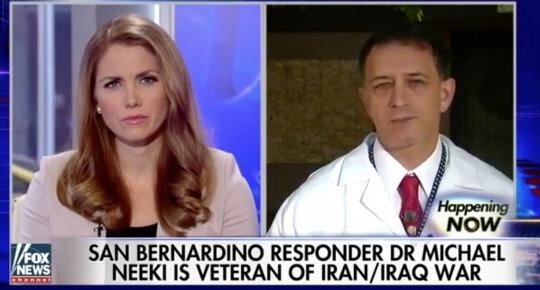 Was he radicalized by Islamic ideology? These and many more questions have yet to be answered, and they many never be. 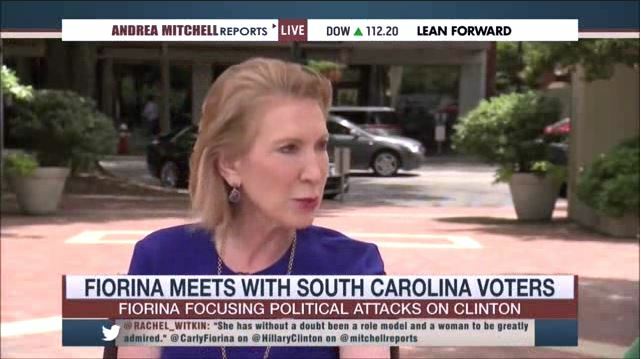 But… remember: Christians, unafraid to state their faith, were executed in America.